Thank you for choosing to honor your friends or family with a gift that will provide meals for our neighbors in need. 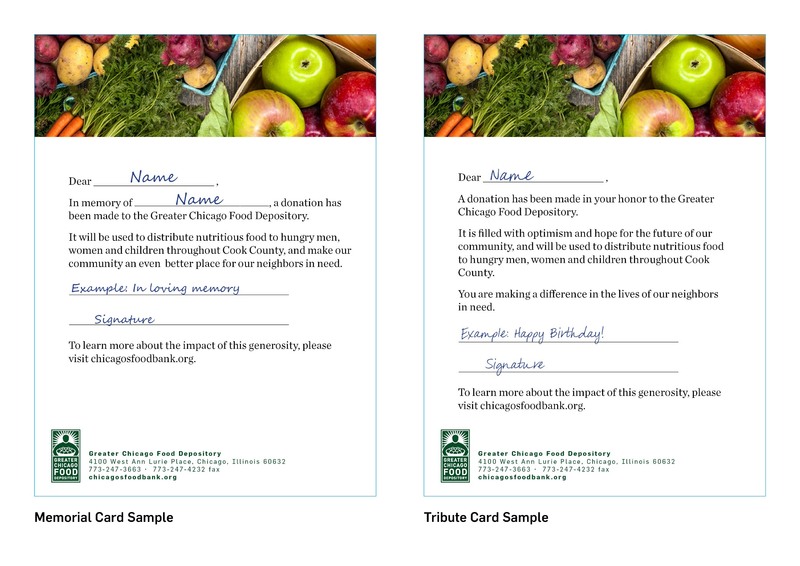 Our tribute and memorial cards allow you to hand-write a personal message for those who you choose to honor. Use this form to make your donation to the Food Depository. Within this form, specify how many cards we should send you. 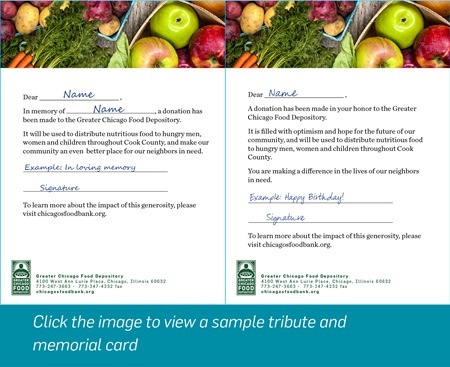 The Food Depository will mail the cards to you within one week. You get to hand-write and send the cards to anyone you choose to honor. If you are making tribute or memorial gifts on behalf of a busness or organization, please contact us at 773-247-3663. Your donation is eligible for 1 card. Your donation is eligible for up to 6 cards. Your donation is eligible for up to 16 cards. Your donation is eligible for up to 46 cards. Your donation is eligible for up to card(s).